Max Verstappen went quickest in Free Practice 1 for the Abu Dhabi Grand Prix, and Valtteri Bottas topped FP2. That was on Friday. 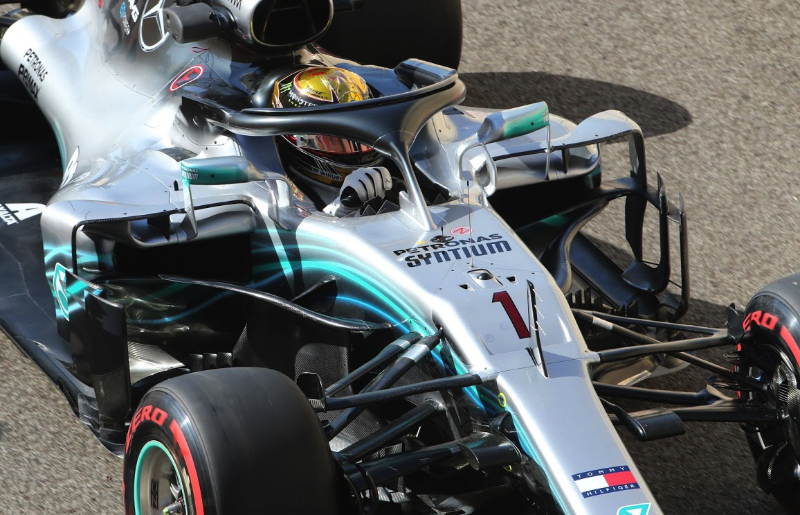 On Saturday, it was world champion Lewis Hamilton's turn to be fastest as he clocked the best time in Free Practice 3 in his Mercedes. The line-up for the weekend was: Mercedes – Hamilton and Bottas; Ferrari – Sebastian Vettel and Kimi Raikkonen; Red Bull TAG Heuer – Daniel Ricciardo and Verstappen; Racing Point Force India Mercedes – Sergio Perez and Esteban Ocon; Williams Mercedes –Lance Stroll and Sergey Sirotkin; McLaren Renault – Fernando Alonso and Stoffel Vandoorne; Renault – Nico Hulkenberg and Carlos Sainz; Toro Rosso Honda – Brendon Hartley and Pierre Gasly; Haas Ferrari – Romain Grosjean and Kevin Magnussen; Sauber Ferrari – Marcus Ericsson and Charles Leclerc. Bottas went fastest on Friday with a lap in 1:37.236. "FP2 was really good, the car felt like I could trust it and drive it the way I want," he said Friday evening. "FP1 was less good, but I think that's pretty usual here. The track is very green when we first go out and it's much hotter during the day than it is in the evening session. "So I'm glad we got the car to work well in the evening session as it is very difficult to try out set-up changes in FP3 because it is so hot. We definitely learned a lot from the runs we did today, especially in the evening, and there are plenty of things we can adjust overnight to find a good set-up for qualifying and the race." Pirelli's compounds for Abu Dhabi were the super soft, ultra soft and hyper soft. The ambient temperature at the start of the 60-minute session was 90 degrees Fahrenheit (32 degrees Centigrade) and the track temperature was 106 degrees Fahrenheit (41 degrees Centigrade). That was far hotter than it would be in qualifying later that evening or in the race Sunday evening. Stroll clocked the first time in FP3 – a 1:41.500. But only a few drivers bothered to turn laps because the heat made the track unrepresentative to what they would need later. One of them was Raikkonen doing some general testing duties in the Ferrari as he got down to a 1:39.314. One driver out there was Leclerc who lost control of his Sauber in Turn 18 and spun it backwards and tore off the rear wing on a wall in Turn 19. Twenty-five minutes into the session Vettel was out front with his lap of 1:38.668, and by now most drivers had set times. Hamilton was second, 0.3 of a second behind, Verstappen was third, 0.4 of a second adrift, and Raikkonen was fourth, 0.5 of a second back. It was hot out there, and even hotter for some. "Seat is getting very hot, everywhere. It's quite unusual." Hulkenberg radioed. With 18 minutes remaining, Vettel set off on a flier on the hyper soft Pirellis. He crossed the line with a 1:37.587. Hamilton beat that 1:37.176. Next, Raikkonen went for a fast lap. He was fastest in the first two sectors but ended up second. Ocon's car had a power unit problem. He had done just one lap and was the only driver yet to set a time. He finally made it out with eight minutes to go. After a couple of laps to cool the tires and recharge the batteries, Verstappen moved up from sixth to fourth behind Hamilton, Raikkonen and Vettel. Bottas, Ricciardo and Perez rounded out the top seven with seven minutes remaining. With four minutes to go, Ricciardo's car broke down and he parked the car out on the track. The top ten at the end of FP3 ended up as: Hamilton, Raikkonen, Vettel, Verstappen, Bottas, Ricciardo, Grosjean, Hulkenberg, Sainz and Ocon.